New Zealand Postcards: What Do You Think of Obamacare? Besides having a severe case of jet-lag and change-of-hemisphere-lag upon returning to Seattle from New Zealand, one of the more disorienting re-entry issues I’ve encountered this week has to do with our health care system. New Zealanders, along with citizens of all other industrialized countries, don’t understand how we Americans tolerate our crazy health care system. Consistently, New Zealanders I spoke with told me they don’t ever really think about health care, and especially not about health insurance. They pointed out that their choice of jobs isn’t tied to health insurance coverage. They have guaranteed basic health care coverage for all citizens, or ‘universal health care,’ through their Ministry of Health. People in New Zealand have the option of purchasing additional private health insurance to help speed up access to things like hip replacement surgeries, but it’s mainly affluent older people who take that option. New Zealand has a centralized national pharmaceutical agency, Pharmac, in order to keep drug costs down. U.S.-based large pharmaceutical companies continue to try and block Pharmac. And they have a national, comprehensive, no-fault personal injury coverage system, the Accident Compensation Corporation (ACC), that covers New Zealand residents as well as visitors. ACC also covers instances of medical malpractice/liability: people in New Zealand cannot sue their health care providers or hospitals. In terms of life expectancy, in the Health Olympics, New Zealand ranks #16, coming in just after the Netherlands. The U.S. ranks #34 right before Qatar. According to a 2011 Commonwealth Study (The US Health System in Perspective: A Comparison of Twelve Industrialized Nations, by David Squires), New Zealand spends almost one-third less per person on health care than we do in the U.S. ($2,683/person/year versus $7, 538/person/year). Obviously, New Zealand is a much smaller, less diverse country than the U.S., and no health care system is perfect, but their health care system blows ours out of the Pacific waters. It is interesting to note that the (Republican) Harvard Business professor Michael E. Porter’s new Social Progress Index of overall livability ranks New Zealand No. 1, and the U.S. No.16 (and he ranks the U.S. No. 70 in health). See Nicholas Kristof’s NYT op-ed piece We’re Not No. 1! We’re Not No. 1! (April 2, 2012). 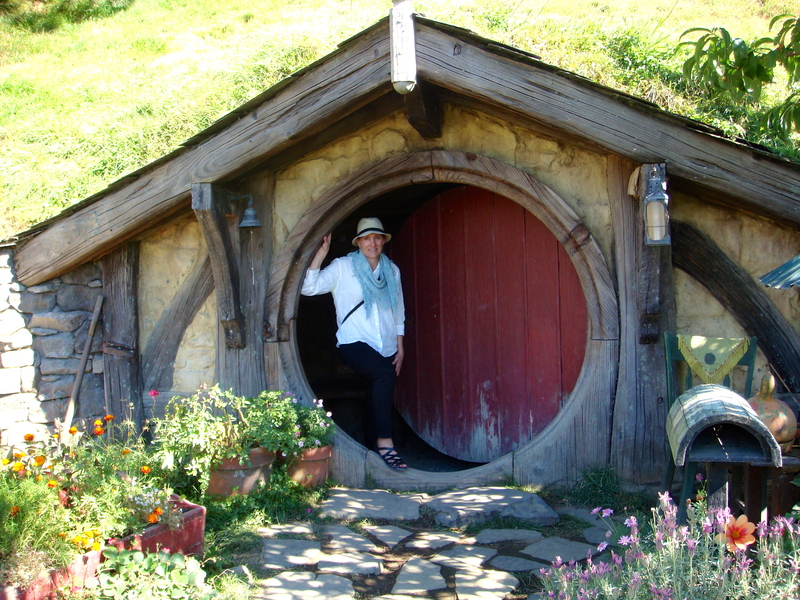 The photo this week is of me on a home visit in Hobbiton, New Zealand. This is a community where hobbits manage to live very long and healthy lives, despite the fact that they have high rates of smoking and drinking and eating of high-fat foods. How do they do that? Posted on April 3, 2014 August 6, 2014 by josephineensignPosted in UncategorizedTagged Health care, Health policy, Nursing, Patient Protection and Affordable Care Act.